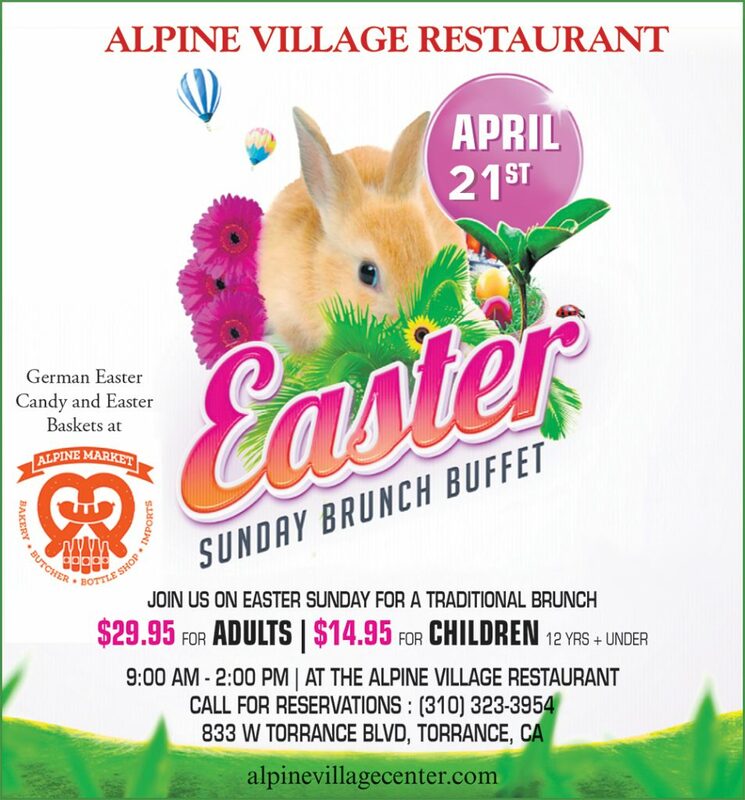 Easter Sunday Brunch is a tradition at Alpine Village. We have our large spread of German and American delicacies. It’s an “all you can eat” brunch that you will surely walk away satiated. Additionally, it comes with champagne for the adults in the group. Join us to spend your time with the family and not in the kitchen cooking and cleaning. Bring the kids and take a picture with the Easter Bunny. The bunny will be visiting children in the restaurant from approximately 11am to 1pm. Be sure to make a reservation so that you are guaranteed a table and a time slot. Walk-ups are always welcome as well, but we can’t guarantee your wait time. And if so inclined, stay after and dance to the music of Mate. It’s a great way to celebrate this special day with Mom! There will still be some seating but there may be a bit of a wait to get in.